POLSON — Kayleigh Marie Allred was born Jan. 22, 2019, at the Nesting Place in Providence St. Joseph Medical Center. She was 20 inches long and weighed 7 pounds, 5 ounces. Kayleigh’s parents are Ariel and Josh Allred of Polson. Maternal grandparents are Cleta Knapstad and Dan Meuchel. Maternal great-grandparents are Mary Lou Reilly and Dolores Meuchel. Paternal grandparents are Lorie and Dan Allred. Paternal great-grandparents are Bonnie and Dean Allred. 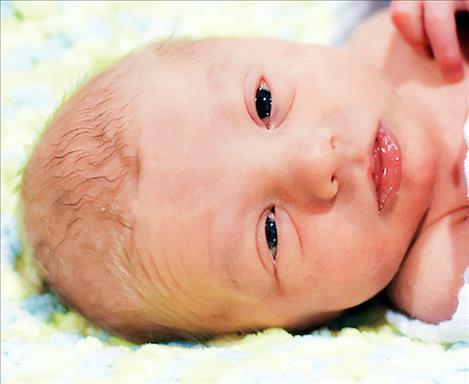 RONAN — Matyus Elijah McGinnis was born Feb. 18, 2019, at St. Luke Community Hospital. 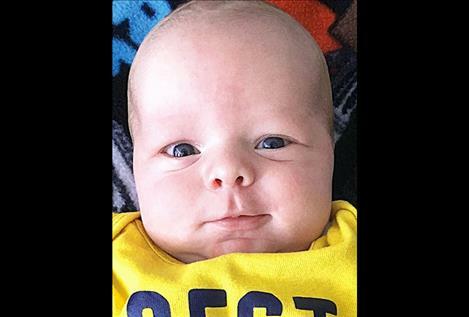 He weighed 5 pounds, 13 ounces and joins sister Airyanna Hould. Parents are Jazmine Hould and Brandon McGinnis of Ronan. Paternal grandparents are Joette Stillwell of Kapowsin, Washington, and Dean McGinnis of Columbus, Ohio. Maternal grandparents are Charlene Steinebach of Ronan and John Hould of Malta. 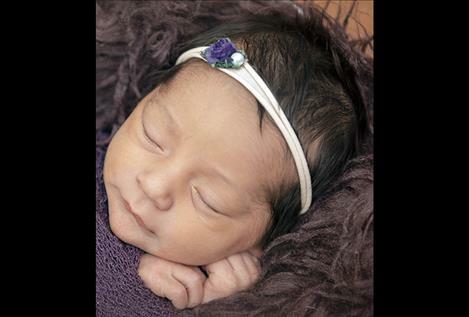 POLSON — Zaria Theresa-Karen Adams was born on Feb. 5, 2019, at the Nesting Place in Providence St. Joseph Medical Center. 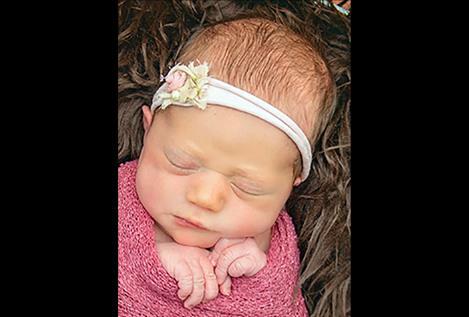 She was 19 and one-half inches long and weighed 6 pounds, 8 ounces. Zaria joins three brothers and one sister in the Adams' home. Zaria’s parents are Crystal Weatherwax and Wesley Adams. Maternal grandparents are Theresa and William Weatherwax. Paternal grandparents are Karen Sorrell and Albert Adams Sr. Paternal great-grandparents are Annie and Ernest Sorrell. 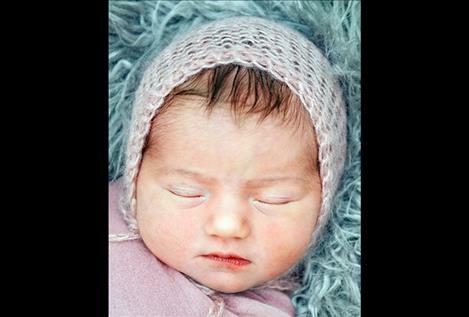 POLSON — Sylvie Noelle Wade was born on Feb. 15, 2019, at the Nesting Place at Providence St. Joseph Medical Center. She was 21 inches and weighed 6 pounds, 12 ounces. Sylvie’s parents are Betsy and Chad Wade of Polson. Maternal grandparents are Marcia and Bruce Williams. Paternal grandparents are Verna Thomson and Gary Wade and the late Linda Wade. Paternal great-grandparents are Carol Wade and Rosemarie Dahlman. RONAN — Arthur John Hoel was born Feb. 2, 2019, at St. Luke Community Hospital. He weighed 6 pounds, 15 ounces. Parents are Meagan and Justin Hoel of Polson. Paternal grandparents are Drew and Beth Hoel of Polson. Maternal grandparents are Bruce Carpenter of Kalispell and Tamara Carpenter of Kalispell. Siblings are Adalynn Jules and Andrew James of Polson. RONAN — Russell David Townsend II was born on Feb. 17, 2019, at St. Luke Community Hospital. He weighed 9 pounds, 3 ounces and joins sister Beatrice. Parents are Russell and Andrea Townsend of Polson. Paternal grandparents are Gerald and Conni Townsend of Wausaukee, Wisconsin. Maternal grandparents are Daniel & Beatrice Jensen of Polson. 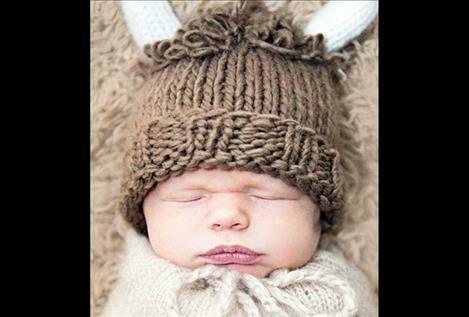 POLSON — Taylor Holdeman is proud to announce the birth of her sister, Tyanne Lee Holdeman. Tyanne was born Feb. 1, 2019 at the Nesting Place in Providence St. Joseph Medical Center. 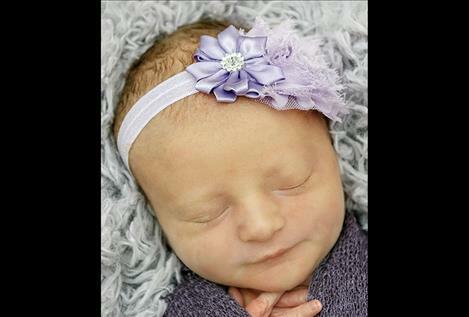 She was 19 and one-half inches long and weighed 7 pounds, 7 ounces. Tyanne’s parents are Oksana and Bryson Holdeman of Ronan. Maternal grandparents are Gail and Ed Minden. Paternal grandparents are Patricia and Marion Holdeman.